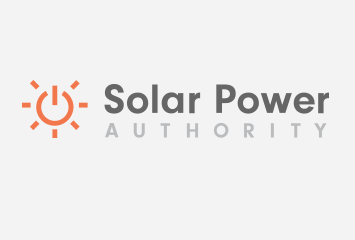 Note, this article was previously published at https://www.solarpowerauthority.com/home-solar/co/ that article has been updated and refocused, visit the page to learn more or read on for older resources. In 2004, Colorado voters passed new renewable energy requirements under Amendment 37. The amendment requires electric utilities with more than 40,000 customers to generate or purchase 10 percent of their electricity from renewable sources by 2015. It also requires utilities to offer a $2 per watt rebate, up to 100 kilowatts, and establishes a statewide net metering system. In April 2007, the Colorado legislature passed a law that enables city and county governments to offer property and sales tax rebates or credits for both residential and commercial renewable energy system installations. The Governor’s Energy Office (GEO), whose mission statement is “to Lead Colorado to a New Energy Economy”, was created in April 2007. The “GEO will work with communities, utilities, private and public organizations, and individuals to promote renewable energy such as wind, solar, and geothermal, and energy efficiency technologies in commercial and residential buildings.” The GEO expects the Colorado Carbon Fund to be operational in late spring 2008. This program features a voluntary carbon offset program. The GEO is also looking for partners to help fund a Residential Solar Rebate Program. Aquila offers a rebate program for photovoltaic system installation. Eligible systems can be up to 100 kilowatts. All systems up to 100 kilowatts are eligible for a rebate of $2 per watt. Systems larger than 10 kilowatts and up to 100 kilowatts will receive an annual Renewable Energy Credit (REC) payment of $115 per megawatt hour, while systems up to 10 kilowatts may be eligible for a one-time REC payment. The REC is based on the amount of solar electricity generated by the system. Xcel Energy offers a rebate through its Solar*Rewards program. They offer a $2 per watt rebate with a cap of $200,000. Smaller systems, 10 kilowatts or fewer, qualify for a $2.50 per watt Renewable Energy Credit. Larger systems can earn a monthly payment of $115 per megawatt hour of energy produced. The Aspen area offers several good incentives for purchasing photovoltaic systems. CORE offers a $2 per watt rebate for any PV system installed by a certified installer and tied into the electrical grid. The maximum rebate is $6000. Rebates are also offered for solar hot water systems. The rebates are funded through the Renewable Energy Mitigation Program. CORE also offers no-interest financing for purchasing and installing PV systems. Holy Cross Energy offers a $2 per watt rebate on installed PV systems. The system must be connected to the electrical grid and the rebate cannot exceed 50% of the installed cost. The City of Boulder offers a sales and use tax rebate for solar thermal and PV system installations. The 35% rebate applies to both commercial and residential systems. The other 65% of tax revenue is put into a fund used to rehabilitate existing solar systems. Residents can apply for the rebate online. Colorado Springs Utility has joined with Ent Federal Credit Union to provide low interest rate financing for pre-approved energy and water efficiency home improvement projects, including solar PV system installation. Loans are available from $1,000 to $50,000. Colorado Springs Utility also offers a Renewable Energy Rebate Program for grid-connected PV’s. Business and residential customers are eligible for a $3.75 per AC watt rebate for new installations. LaPlata Electric Association offers a rebate to its residential customers who install a grid-connected renewable energy system. The rebate is $2 per watt and cannot exceed the cost of the system. The City of Fort Collins offers its residents the ZILCH loan program, a no interest loan that can be used to pay for home improvement projects that increase energy efficiency, including solar space heating or water heating, reduce water usage, or improve air quality. The maximum loan is $2,300 and cannot finance more than 80% of project costs. Gunnison County Electric Association provides loans for grid-connected or off grid solar PV and wind systems of 10 kilowatts or less. Residents can use the low interest loans to finance up to $25,000 over 10 years. For more information, contact the GCEA. Longmont Power and Communication offers a Commercial Energy Efficiency Rebate Program, in conjunction with Platte River Power Authority, to businesses that invest in energy efficient improvements. Businesses can receive up to $500 per kilowatt. Contact them directly to determine if installation of solar technologies are approved. Loveland Water and Power has also partnered with Platte River Power Authority to offer a Commercial Energy Efficiency Rebate Program. Interested parties should contact the utility directly. When a solar PV system generates more electricity than can be used while the sun is shining, the excess electricity can be pushed back into the electrical grid through the customer’s electric meter. At the end of the month, the net utility bill is calculated by subtracting the energy generated by the PV system from the total energy consumption. Although there is no state requirement, the following utilities in Colorado offer net metering to their consumers. Details on individual programs can be found by visiting the utilities’ website or by calling them directly. In 2000, Aspen and Pitkin County launched the Renewable Energy Mitigation Program (REMP). REMP’s goal is to reduce overall carbon output by offsetting the greenhouse gas emissions caused by equipment used for exterior snowmelt, pools and spas and the extra energy requirements of large homes. In basic terms, REMP is an energy tax. REMP charges fees of up to $5,000 to new homeowners and remodelers if their home exceeds 5,000 square feet. If the home exceeds 10,000 square feet, the fee increases to $10,000. REMP allows users of snowmelt equipment, pools and spas to either pay a fee or to offset the use by installing a two kilowatt PV system or its equivalent. At Boulder Solar Week 2007, participants could take a tour of 14 green and solar powered homes and participate in evening workshops. Solar Power for At Risk Communities (SPARC) is a project that aims to link the long-term cost savings of solar energy with those most in need of controlling utility expenses. They have already installed a PV system at the Boulder Shelter for the Homeless and solar hot water systems in several low-income neighborhoods. During 2005 and 2006, the Orphan Solar Program aimed to refurbish older solar thermal systems. They assessed 99 systems and repaired 52 systems. The University of Colorado Solar Decathlon team placed 7th in this year’s Solar Decathlon in Washington, D.C. In September 2007, 20 teams from Canada, the United States and Europe were invited to construct a solar village on the National Mall. The team won the competition in 2002 and 2005. Solar Decathalon. In September 2007, the Gunnison High School PV Project installed a 1.44 kilowatt PV system funded by a grant from the Gunnison County Electric Association and a scrap metal drive. Solar Energy International is offering workshops for the students and training teachers in the use of the data monitoring system. Many companies in Colorado sell and install solar systems. We have included links to several below. Other online business directories include ColoradoEnergy, the Boulder Green Building Guild, and CoSEIA’s list of CoSEIA certified businesses. The Crestone Solar School in Crestone, CO offers residential workshops during the summer months for those interested in learning more about solar energy. Located in Carbondale, CO, Solar Energy International offers workshops and online training in solar, wind, and water power and natural building technologies.